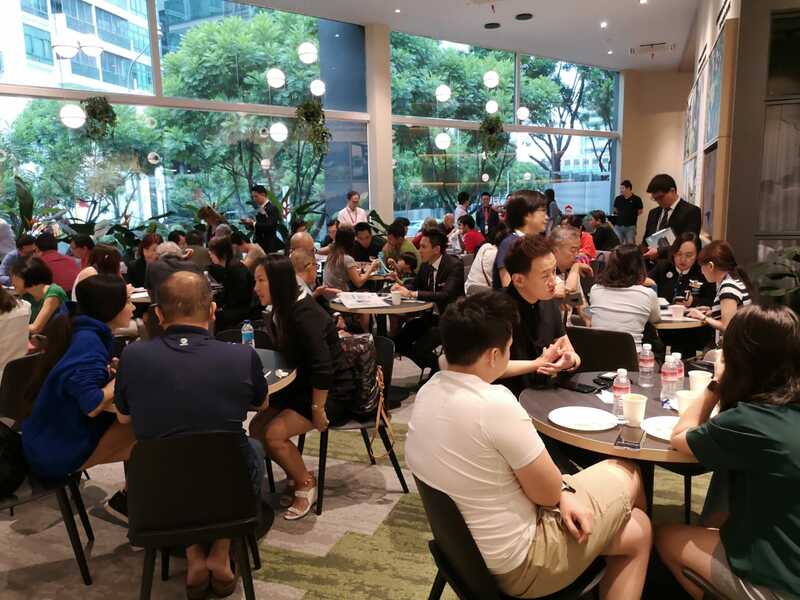 Over the weekend of Jan 19-20, listed developer Roxy-Pacific Holdings launched two projects in the prime districts: the 140-unit RV Altitude on River Valley Road in District 9 and the 71-unit Fyve Derbyshire at Novena in District 11. As at 5pm on Sunday, Jan 20, a total of 20 out of 63 units launched at RV Altitude were sold, translating to a sales rate of close to 32% based on units launched. Prices achieved ranged from $2,729 to $3,100 psf. Meanwhile, Fyve Derbyshire saw 13 out of 36 units launched snapped up on the launche weekend at prices from $2,200 to $2,700 psf. The sales rate for Fyve Derbyshire on the launch weekend was 36%. Based on the number of units in the project, the sales rate achieved at RV Altitude is about 14.3% and 18.3% at Fyve Debyshire. “The average 16% sales rate we achieved for these two launches is relatively decent, and we should see sales pick up from March – after Chinese New Year,” says Teo Hong Lim, executive chairman of Roxy-Pacific. According to Alan Cheong, senior director and head of research for Savills Singapore, the sales achieved at Fyve Derbyshire and RV Altitude are “within expectation”. During his presentation at a Jan 14 seminar held by Building Construction Authority and Real Estate Developers’ Association of Singapore, Cheong’s forecast was that first weekend launch sales in 2019 would be in the range of 15% to 22% - barring marketing missteps such as pricing the project too high, and paying below market rate commissions to agents. Pre-cooling measures on Jul 6, 2018, some developers were able to achieve sales of up to 60% within the first weekend of launch, says Cheong. Post-cooling measures from July to Dec 2018, the average sales rate achieved was 28%.